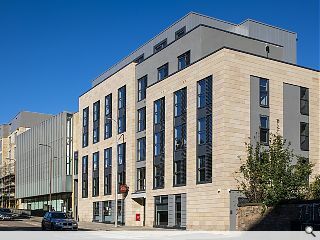 Clark Contracts have handed over a new build student accommodation block at 22-24 Potterrow, Edinburgh, on behalf of Curlew Property. 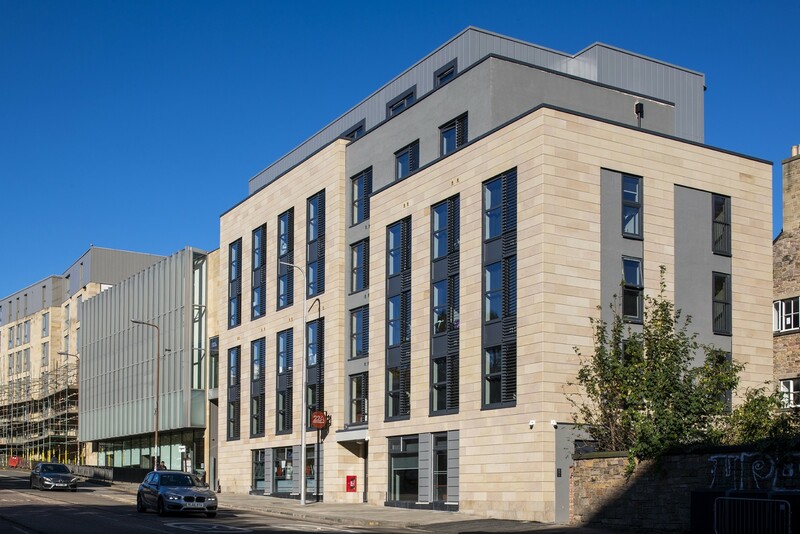 Situated a short walk from the University of Edinburgh the build stretches to 52 studio apartments in addition to common rooms and amenity spaces over six floors. Designed by Yeoman McAllister the homes were delivered using off-site construction techniques for assembly and connection of self-contained bathroom pods and fully-fitted mini kitchens on site. The University of Edinburgh completed a second student build further along Potterrow in 2014.